It is tough to gauge the speed of a moving vehicle while standing still. Catching it on video is helpful, but is it enough for local law enforcement or officials to take action? Yes, but there is a better way. Here’s why. Imagine if officials had been able to respond to Nye’s concerns immediately with a radar speed sign equipped with software that documents driver speeds. 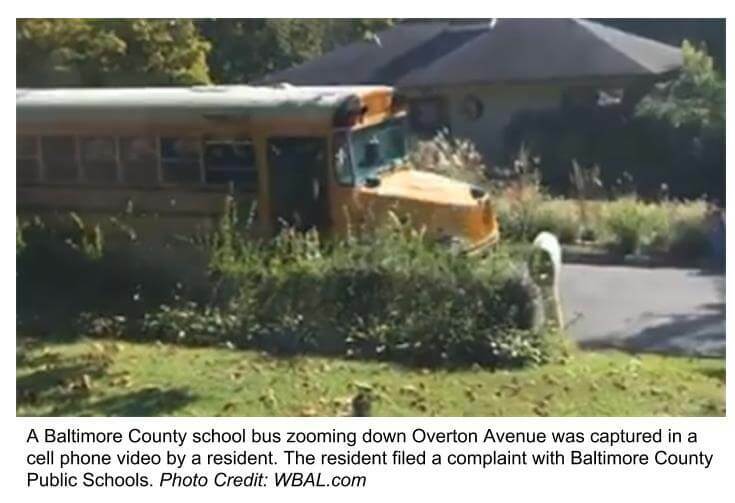 Not only would bystanders (and the bus driver) have seen the actual speed speed of the bus, officials would have had instant, documented proof. Radarsign’s TC-400 is a portable, battery-powered radar speed sign that can be used in multiple locations. As soon as a citizen complains, these lightweight and effective traffic calming solutions can be quickly deployed to slow speeding drivers. The TC-400 can also be equipped with Streetsmart traffic data reporting software. This software allows officials to collect and analyze the traffic data and report on actual driver speeds. Click the links to learn more about the TC-400 and Streetsmart software.